Rajasthan Polls : BJP Manifesto vs Congress Manifesto, who promises what? The Temperature in the poll-bound Rajasthan shoots up courtesy to the efforts of both the major parties and their Poll Warriors. Both the Major Parties in the fray are leaving no stone unturned in a bid to attract voters in their fold. 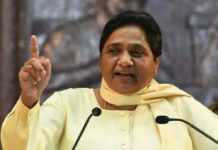 In a bid to outdo each other in polls due for December 7, Parties are taking no chances and making every effort from roping top leaders from others states, deploying their senior caps to damage the control done by the party’s “Rebel”, among others. 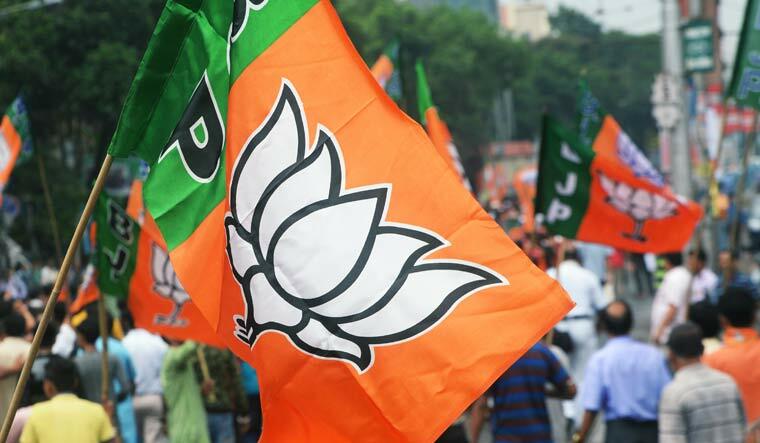 Bhartiya Janta Party has conducted over 222 Big public meeting and 15 Roadshow to seek another term in the State. While similar figures are recorded from the Opposition Congress who desperately looking to unseat the incumbent. But What is the biggest thing that attracts a voter? No Point for guessing this one, The biggest of all that attract voters in one’s fold is the party’s desire to work, their pre-poll promises, freebies, and sops that every party does to woo voters. 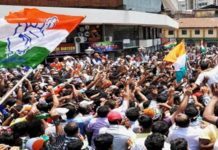 As the Polls in one of the largest states of India is due for December 7, we tried to analyze the difference between the Poll Manifestoes of both the major parties- Bhartiya Janta Party and The Indian National Congress. Starting with the Vasundhara Raje led Bhartiya Janta Party, Union Finance Minister Arun Jaitley released the party’s Manifesto on November 27. The 52-page Manifesto titled ‘BJP GAURAV SANKALP 2018’ featured a message from the Rajasthan Chief Minister to her state in the first page. Bhartiya Janta Party in initial some pages of the manifesto talked about what the Present Government has done in its 5-year tenure. Full of Freebies, party manifesto has everything to offer for everyone. Agrarian: If voted to power, BJP State government promised to ensure the transparency in the process of Minimum Support Price. The party also promised to set up a fund ₹250cr as Rural Startup Fund. Party also sought to start a ‘Chief Minister Fellowship for agriculture’ that will give chance to 1000 Farmers every year to travel abroad to study best agriculture practices across the globe. Cooperative farm loans worth Rs 1 lakh crore are aimed to be disbursed in the next five years if BJP voted to power. On Education Sector, the Party promised to give Laptop/smartphones to all 12th pass student who would continue their studies. An Educational board will be set up for fully private schools that would help to fill the gap between the government and those schools. The party also promised to establish Vedic Studies Board. Sanitary Napkins will be made available free of cost in all private and Government Schools. For Social justice, all post of SCs and STs in the government sector will be filled within a timeframe. The party also promised to setup corpus fund for SCs/STs/OBCs Entrepreneurs under Bhimrao Ambedkar Entrepreneurship Scheme. The party also promised to start a Tribal University in Eastern Part of the state just the South part in Udaipur. For Youths, the party promised 10 lakhs Job every year in the private sector. The party also promised to give ₹ 5000 as an unemployment allowance to youth over 21 years old. The party also worked to create 30,000 jobs every year in the government sector. And for Sportsmen party sought to start ‘Mission Gold Hunt’. The party also promised to setup Placement Cell in the state keeping in mind the issue of unemployment. And For Women Empowerment, The Party promised to Give a Lakh Rupees for the marriage of Girls belong to weaker Section of Society. The party also promised to establish a Hostel for Working Women in every district. The party also promised to increase the minimum Labour Wage. Other Key Promised that the party has made includes – Completion of Work of Jaipur Metro Phase 2 by 2021, Free Wi-fi in Public places, promote tourism through Adventure Tourist Spots, Yoga House in all districts and to make a law to ensure the safety of Journalists in the state. Interestingly, Party who has fielded a lone Muslim candidate does not have a single welfare scheme for Minority Section. 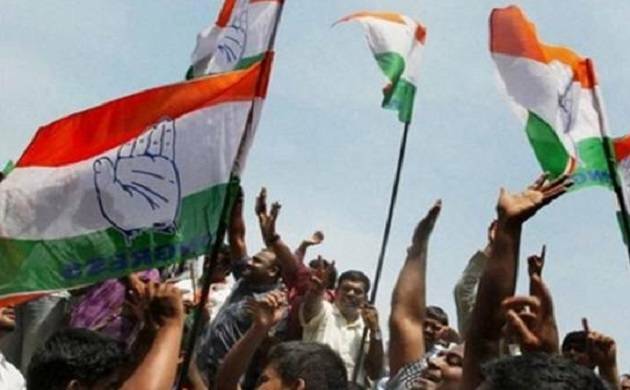 The Opposition Indian National Congress is desperately looking to unseat the ruling Bhartiya Janta Party. Manifesto titled Jan Ghoshna Patra released by the party on Nov 29 focus on all. For Agrarian, repeating their promise of Punjab and Karnataka Assembly Polls, the party aimed to waive loan farm within ten days of forming the government. The party also promised to make Farm equipment GST free. On the lines of BJP, the party has also promised to implement Minimum Support Price. On Educational Front, Indian national Congress also Promised to constitute Vedic Studies board same as the incumbent. The party also aimed to impart free education for girls. The party in their manifesto sought to open 20,000 schools which are shut down. The Party also aimed to re-open Ambedkar Law University and Hari Joshi Journalism University functional which was shut down by Raje Government. For Social Justice, Congress promised to pass a reservation bill that will give 5% reservation to Gurjars, Raika, nomads and Gadia Lohar communities. 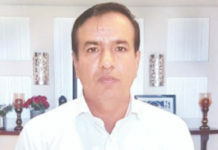 It has also promised to work in that direction to implement the proposal that the previous Congress government led by Ashok Gehlot has sent to the Central government for giving 14% reservation on economic basis. For Women Empowerment, The party sought to start provisions like 24×7 helpline cells. The party if voted to power will setup fast-tracking of serious crimes against women. On the lines of Ruling BJP, The Sa-chin Pilot Led Party would also establish working women hostels. For Youths, Party announced to give ₹ 3500 as unemployment allowances. Moreover, the party also promised a fare-free ride to those Candidates traveling to appear in any Competitive Exams. The Congress unlike BJP has a provision to Minority Community. The Party promised to start computer education madrasas. 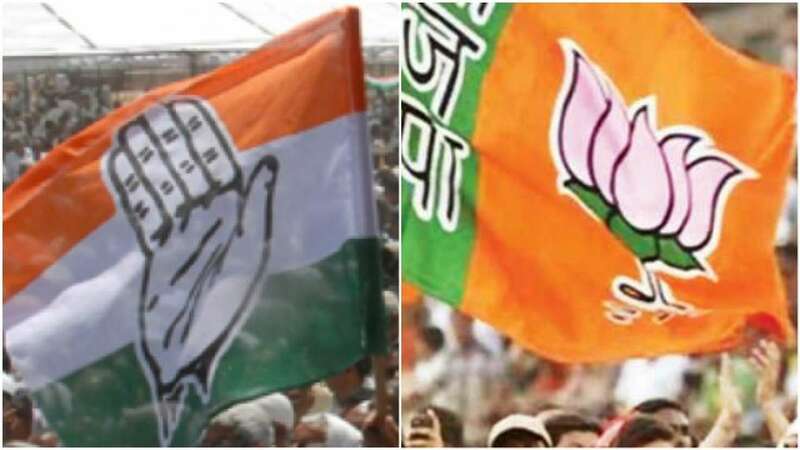 The Other Issues that party aimed to work if voted to power includes – Development of Dairy Industry, push to fisheries, wifi connectivity, railway connectivity in Banswara, tonk and other. The Rajasthan Assembly Elections are due for December 7, while the counting of votes will take place on December 11 along with other state assembly elections.